Helllloooooo and Happy Monday to you. Are you off out for the day on the last of our Bank Holiday Mondays' before Christmas? If you are I hope you don't get caught up in the traffic. I've spent many a bank holiday Monday stuck in traffic jams and now prefer to stay closer to home lol!!! As promised today's post is featuring cards made by the lovely Lyn Jones. You may also see them in the trailers for the Graphic 45 shows on Create and Craft, along with Karen's samples featured earlier in the week and one or two of my own. Keep your eye out for them if your a Create and Crafter. 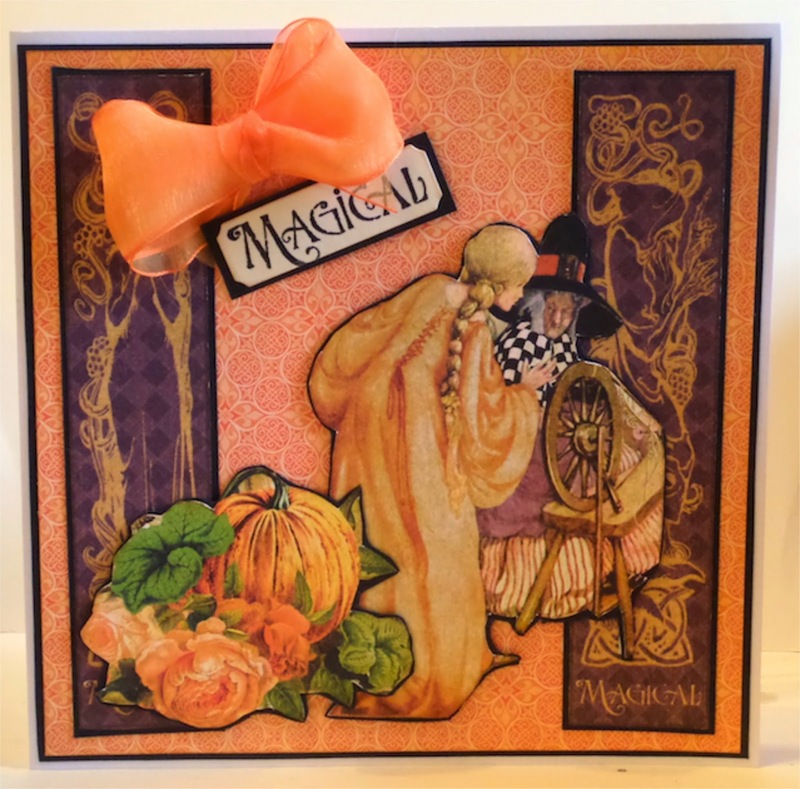 The collection has a fairytale feel to it and although Halloween themed can be used to make projects suitable for all occasions. Good night, good morning to you Clare. I just wrote you a note on facebook!!! I was just getting ready to turn off my computer for the night and get ready for bed, it's only 9:30 p.m. here Sunday night but I am tired. 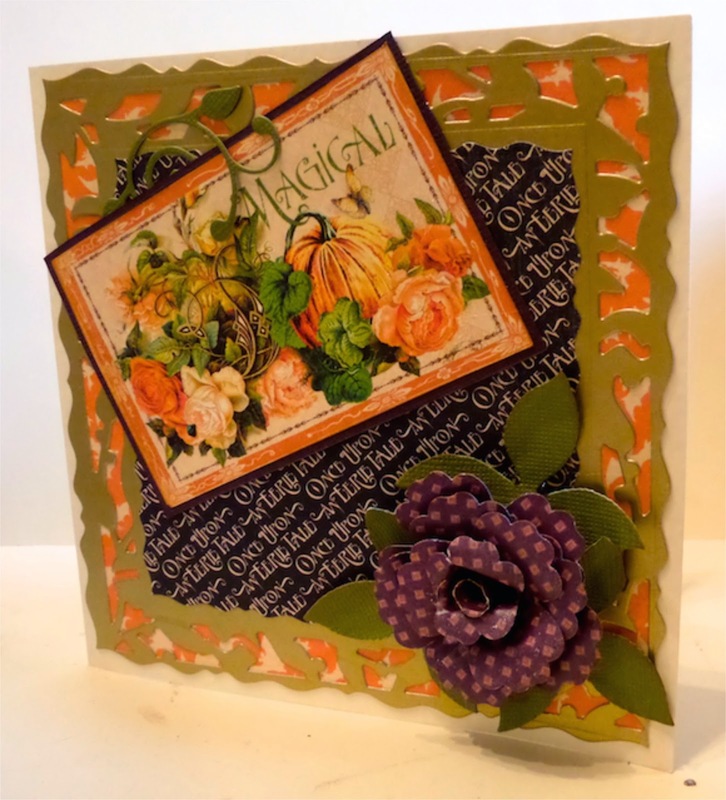 Love this pretty card, I haven't done anything with the Eerie Tale papers yet but I do have them, love the looks of them and the flowers she made, quite pretty!!! How was your meal in Stratford?? Wonderful I hope. Have a great Monday, chat with you soon. these are very beautiful Clare. 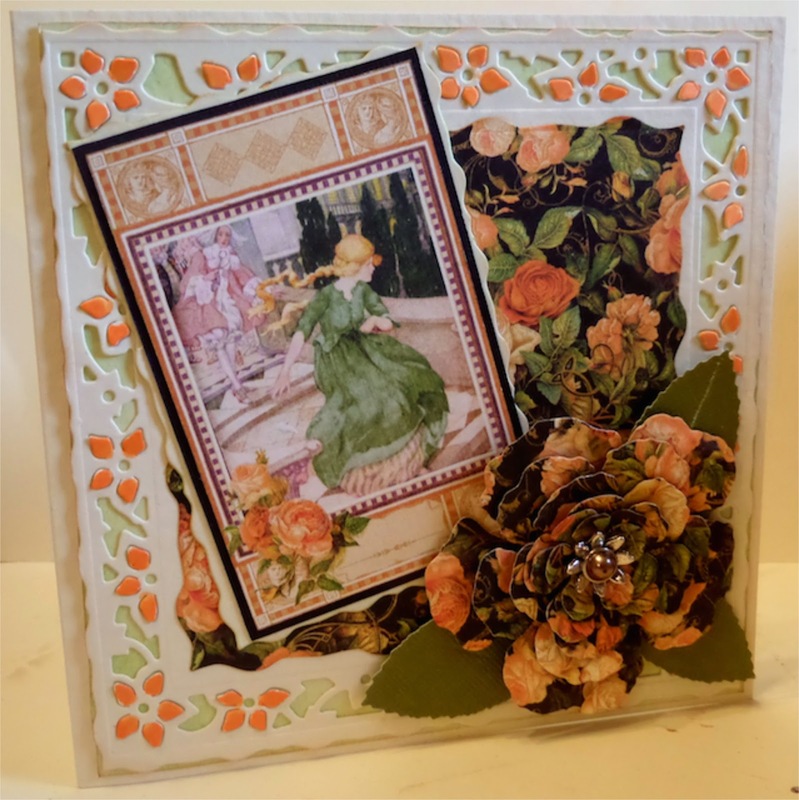 Hi Clare, Lyn's cards are really pretty, I adore the Eerie Tale papers. It is rain, rain, and even more rain here today, yucky !! !